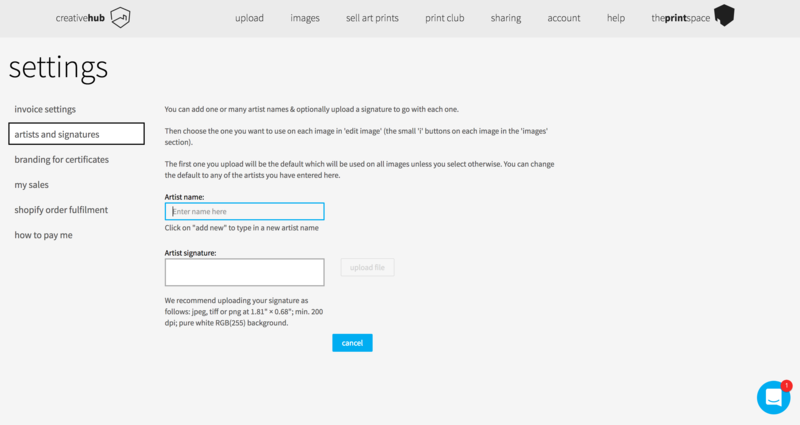 Add your name details and upload your corresponding digital signature, then save the artist. You can also add your logo or branding to your certificate. To do this, click on 'branding for certificates' just below the 'artist and signatures' section you just completed. Click 'upload files' and select the image you wish to use as your certificate logo. Like artist names and signatures you can upload multiple logos.